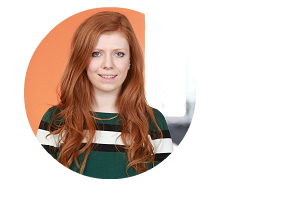 This week we feature Ailsa Duncan, Digital Marketer at Adeo. Adeo Group are a leading UK web design and development agency. They are a digital team of technologists, strategists and marketers that partner with you to exceed your needs and goals. In this interview, you can read more about her work at Adeo, favorite marketing tools, productivity tips as well as her advice for budding marketers. Your favourite gadget: Notepad and a biro, nothing quite so satisfying as physically scoring out a task as complete. You start your day with: A Green Tea. Your favorite time-saving trick: Write a To Do List for the week ahead on Friday afternoon so you are ready to go Monday morning. Your top 3 blogs you read daily: Mention and Adweek have excellent blogs for insights and tips for marketers. Podcastwise, I am currently obsessed with My Favourite Murder! Describe an average day at Adeo? Beginning with our Daily Scrum on everyone’s projects for the day. This helps our team keep up to date with progress of other projects within Adeo. As a Marketer what are some of your favorite productivity hacks? Stick EVERYTHING in your calendar. Meetings, training, webinars, follow up one calls and emails. Working with a diverse range of clients, it’s imperative that nothing is missed. Forecast is great for our project management. In terms of automation, SharpSpring is a fantastic rounded software and I will always have a soft spot for MailChimp. We learn something new from every client which can be brought to our strategy plans for future and current clients. Shared knowledge helps us all to grow. The most powerful tool we have is referral. We work in close partnership with our clients and are proud to have met a number of our clients through recommendations. Take advantage of training opportunities. Google and HubSpot offer free training which is unparalleled. How do teams at Adeo have fun at work/ make work fun? We celebrate the end of every week with beer o’clock on Fridays. It gives our departments a chance to catch up with each other, wind down and play some skalextric! A big thanks to Ailsa for taking the time out to answer these questions! If you haven’t already, we highly recommend that you check out Adeo‍.